I. B. Tauris & Company, 9781784534578, 240pp. Turkey stands at the crossroads of the Middle East―caught between the West and ISIS, Syria and Russia, and governed by an increasingly forceful leader. Acclaimed writer Kaya Gen has been covering his country for the past decade. 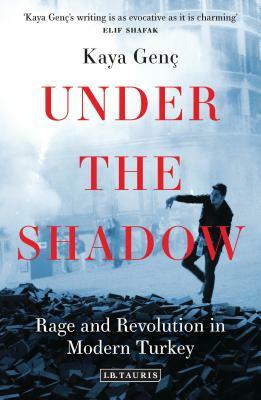 In Under the Shadow he meets activists from both sides of Turkey's political divide: Gezi park protestors who fought tear gas and batons to transform their country's future, and supporters of Erdoğan's conservative vision who are no less passionate in their activism. He talks to artists and authors to ask whether the New Turkey is a good place for them to live and work. He interviews censored journalists and conservative writers both angered by what has been going on in their country. He meets Turkey's Wall Street types who take to the streets despite the enormity of what they can lose as well as the young Islamic entrepreneurs who drive Turkey's economy. While talking to Turkey's angry young people Gen weaves in historical stories, visions and mythologies, showing how Turkey's progressives and conservatives take their ideological roots from two political movements born in the Ottoman Empire: the Young Turks and the Young Ottomans, two groups of intellectuals who were united in their determination to make their country more democratic. He shows a divided society coming to terms with the 21st Century, and in doing so, gets to the heart of the compelling conflicts between history and modernity in the Middle East. Kaya Genc is a novelist and essayist from Istanbul whose writing has appeared in The Paris Review, The Guardian, The Financial Times, The London Review of Books, Salon, Guernica Magazine, Sight & Sound, The Millions, The White Review and TIME Magazine, among others. His first novel, L Avventura was published in 2008. Kaya has a PhD in English literature and is the Istanbul correspondent of The Believer and The LA Review of Books as well as a contributing editor at Index on Censorship. His article for The LA Review of Books Surviving the Black Sea was selected as one of best non-fiction pieces of 2014 by The Atlantic. Currently writing a history of Turkish literature for Harvard University Press, and due to publish his first English novel later next year, he is one of Turkey s most hotly-anticipated young writers."